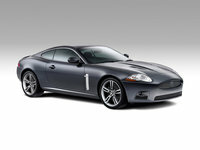 Start a new Jaguar XK-Series question. 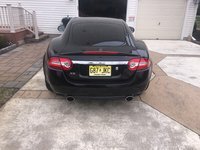 Check engine light on and exhaust on my XK8 is “Oh My Goodness” strong. Does this indicate a costly issue? How much should this cost? 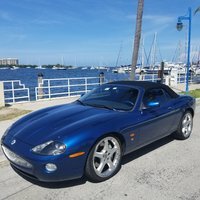 What Do I Look For When Buying A Used Jaguar Xk8? 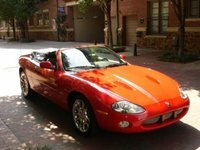 What problems should I be looking for when buying a use Jaguar xk8? 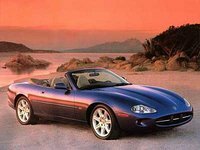 The Jaguar XK Series arrived in 1996 as the replacement for the long-running XJS Coupes. A similar platform, shared by Aston Martin's DB7, was used to build the new coupe. 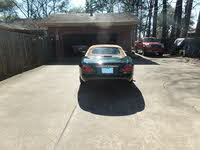 The initial model was known as the XK8, and it was available as a coupe or a convertible. Jaguar also offered a performance-enhanced version of the XK by mounting a potent supercharger on top of its 290-horsepower V8. This addition brought horsepower to 390. The early models were fitted with a 4.0-liter engine, and later models received a 4.2. A five-speed automatic transmissions and rear-wheel drive were constant throughout the first generation. An all-new XK Series arrives for 2007. After a decade free of alterations, the athletic and luxurious coupe will finally progress into its second generation. The designer of the new XK is Ian Callum, who is also behind the Aston Martin DB7 and Vanquish. With this new design, Callum pays tribute to the well-respected E-Type Jaguars of the early 1960s. Traditionally, Jaguar has embraced many of their previous styling attributes on new models, offering visible reminders of the British marque's prestigious past. The 4.2-liter V8 will now make 300 horsepower on its own, and 420 with the supercharger. A smooth six-speed automatic transmission is new this year, along with larger brakes and a more advanced version of Jaguar's CATS (Computer Active Technology Suspension). The wheelbase has been stretched 7 inches underneath a new all-aluminum body.